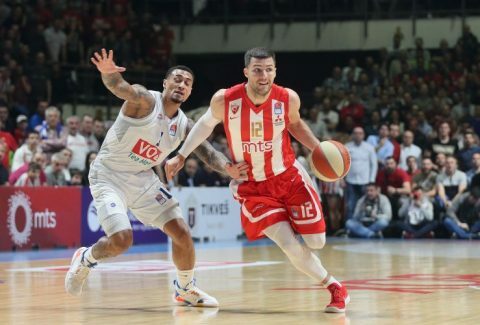 Crvena Zvezda dominated Buducnost at home in Belgrade on Friday night in Game 1 of the ABA League Finals (91-72). The visitors from Montenegro stayed close until the end of the first half (45-42). But, then Crvena Zvezda took over and was unstoppable. The Serbian team played very well on both ends of the floor and advanced to a double-digit advantage (65-52). 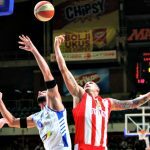 Moreover, Crvena Zvezda (or Red Star in English) led by as many as 25 points and cruised to an easy victory. Billy Baron had a game-high 19 points for the winners, while Ognjen Dobric added 12. Norris Cole was the only player that scored in double figures for Buducnost (12 points). Game 2, in the best-of-five series, will take place on Sunday night (14/04), with Crvena Zvezda having the home-court advantage again. Both clubs will fight tooth and nail for the title because there is more at stake than just bragging rights. Because that ABA title also secures participation in the EuroLeague next season. Especially for Crvena Zvezda, this is their golden opportunity to return to the top European competition. 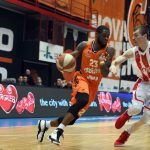 According to their head coach, Milan Tomic, their roster has the talent and potential to make the difference in the EuroLeague. For their part, Buducnost was one of the Euroleague’s weakest links this season (6-24 record). Last year Buducnost stunned Crvena Zvezda by winning the ABA finals and qualifying for the Euroleague. 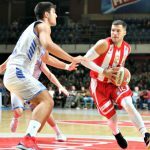 This season Crvena Zvezda is looking for revanche.